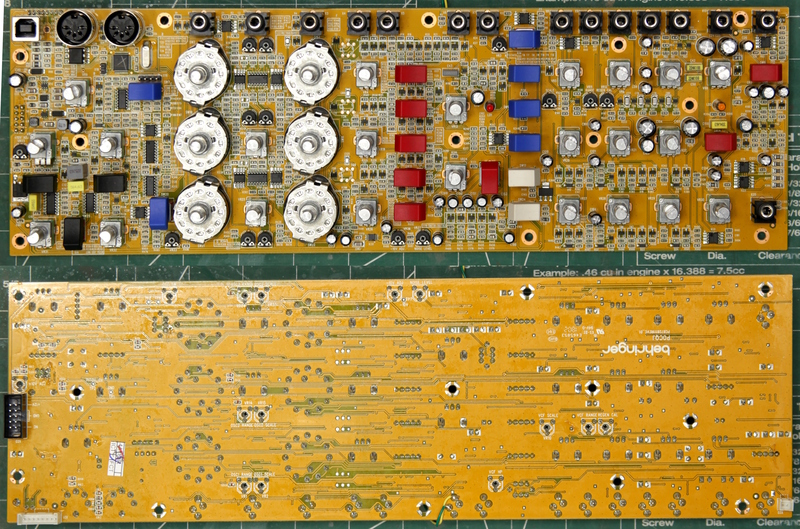 Next message (by thread): [sdiy] Behringer Model D PCB.. design decrypted.. Sounds rather nice when you phrase it that way. However, in my opinion, any jack that connects to an external cable should be panel mounted, not PCB mounted. In particular, I’ve seen several Behringer BCF-2000 and BCR-2000 controllers sent back after someone stepped on their USB cable and cracked the solder joints on the PCB. Those were USB B connectors that were no less solid than the Model D has. Through hole is no substitute for solid panel mounting. Unfortunately, there are only one or two panel-mounted USB jack models made. They’re almost impossible to find. All of the rest are PCB mount due to low cost being the primary design factor for all USB Devices. I mean, it’s better to have USB as an option than not, but I’m still disappointed that the industry doesn’t even offer a robust option (that isn’t intended for something entirely different - like the water-proof inline jacks that happen to be panel mounted and about ten times too big). > Good to see a nice solid USB B connector. Through hole as well.